Powertrains Offset Cylinder An Engine Design Enabling Reduced Loss and Compact Size - Yamaha Motor's Waza and Sube | YAMAHA MOTOR CO., LTD.
Yamaha outboard motors are used and loved in some 180 countries and regions around the world thanks to not only their light weight, compactness and high power but also their excellent reliability and environmental performance. 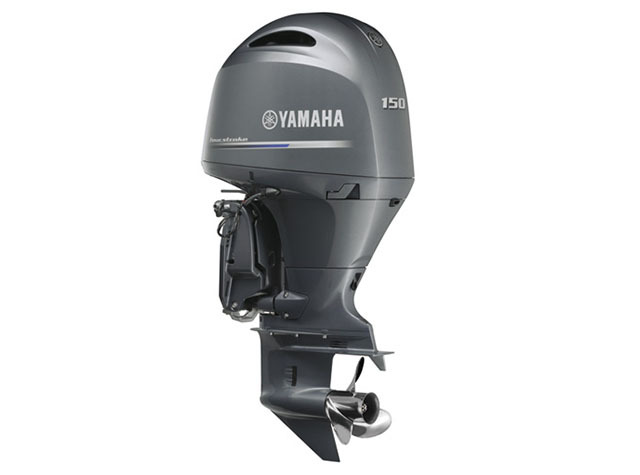 More than 10 million Yamaha outboards have been manufactured over the roughly 50 years since the first Yamaha outboard motor, the P-7, was marketed in 1960. 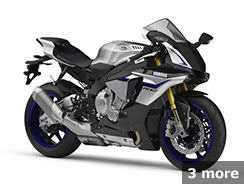 Creating light, compact and high-performance products is the aim of Yamaha’s Monozukuri. In this difficult and never-ending quest, there are times when new ideas and innovative technology can lead to progress in all three of these aspects. 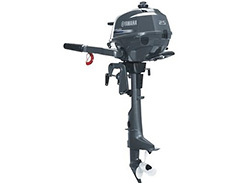 One good example is the 72cc F2.5A (F2A in Japan) compact outboard motor released in 2002 (#1). This was Yamaha’s first production model to ever be powered by an engine with an offset cylinder. 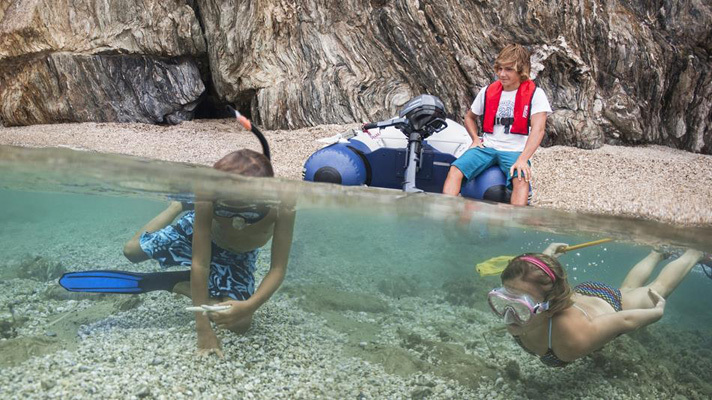 It’s said that with small-displacement outboard motors, it is difficult to show what sets one apart from the other in terms of performance. But thorough engineering efforts to reduce horsepower loss and the use of the latest technologies in components throughout the engine have made this clean-running little outboard a gem. You will find most of the F2.5A models at work today on the roughly 50,000 km network of canals that crisscross Europe. These little outboards are used for quiet cruises on these canals as well as for recreation at beaches. 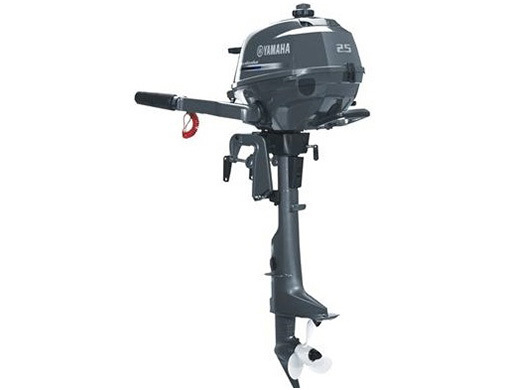 This 4-stroke model is not only fuel efficient and quiet but also stands out for its incredible compactness, one of the most difficult things to achieve in outboard motor design. 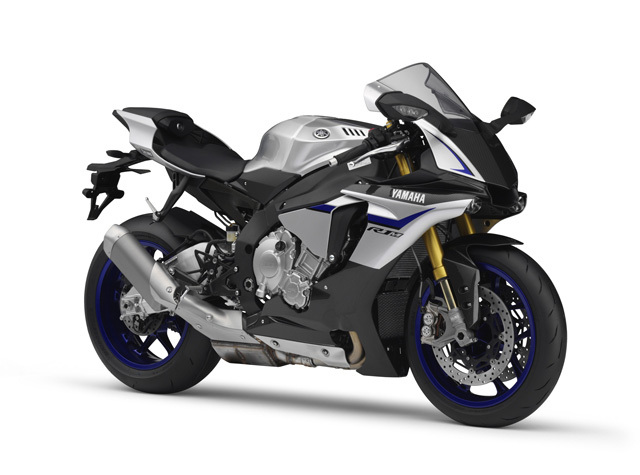 The key to this compactness was the adoption of an “offset cylinder.” After the F2.5A, this offset cylinder design has been optimized in line with the respective qualities and purpose of each Yamaha product it has subsequently been used on. 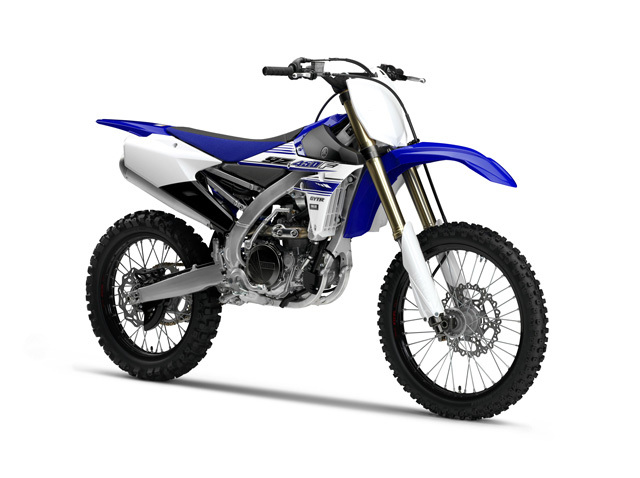 It can now be found not just in outboard motors like the 150 hp F150A but also scooters and motorcycles ranging from the Vino 50cc scooter to the YZF-R1 supersport flagship model and our motocross bikes (#2). Offset TechnologyIn general, the piston in an engine is pushed down by the explosive force of combustion in the combustion chamber and this is the origin of the drive force created by an engine. Strictly speaking, however, the piston is not actually pushed straight downward. Although it is small, there is in fact a diagonal component to the downward force that causes the piston to be pushed against the wall of the cylinder. This results in friction and a corresponding amount of horsepower loss. 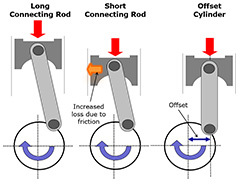 This friction-induced power loss can be reduced by lengthening the connecting rod, but lengthening the rod makes the engine heavier and larger overall. The offset cylinder is a design that solves both of these inherently conflicting problems. This is accomplished by “offsetting” the cylinder from the crankshaft so that the axis of the piston and connecting rod are aligned vertically at the moment of combustion—when the pressure in the cylinder is at its peak. Doing this greatly reduces the friction from the diagonal force pushing the piston against the cylinder wall. At the same time, this enables more effective use of the energy produced by combustion. The engine in the F2.5A has a bore × stroke of 54 mm × 31.5 mm. The cylinder offset was set at a large 10 mm, increasing combustion efficiency and enabling a more compact design at the same time (#3). In the offset cylinder design, the amount of offset affects the fuel efficiency, power output, engine response and more. 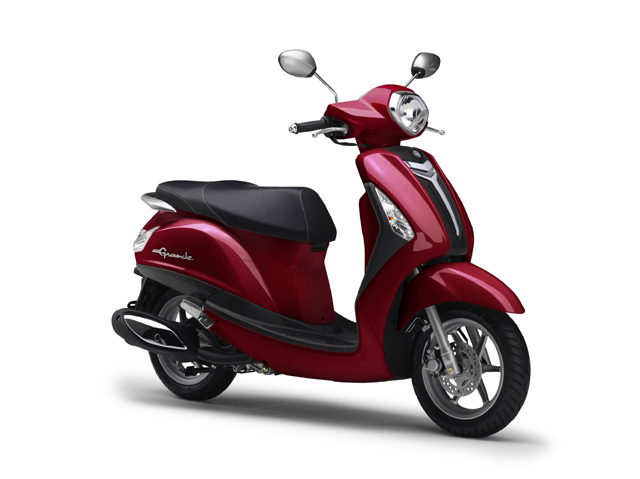 Yamaha’s waza lies in determining the optimal amount of offset during development in line with the model’s characteristics. (#1)The F2.5A used Yamaha’s first engine with an offset cylinder. 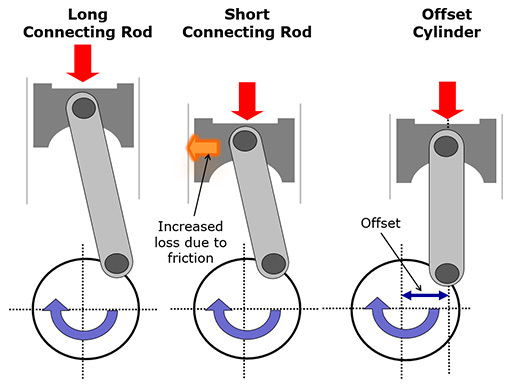 (#3)Increasing the length of the connecting rod reduces the amount of friction between the piston and the cylinder wall, but it also makes the engine bigger (left). A shorter connecting rod produces more friction loss (center). The offset cylinder (right) enables both reduced loss and a more compact design.